There are 33 other images of this object. This object has no known copyright, and as such we offer a high-resolution image of it. See our image rights statement. See more objects with the color silver sienna indianred darkgrey tan or see all the colors for this object. 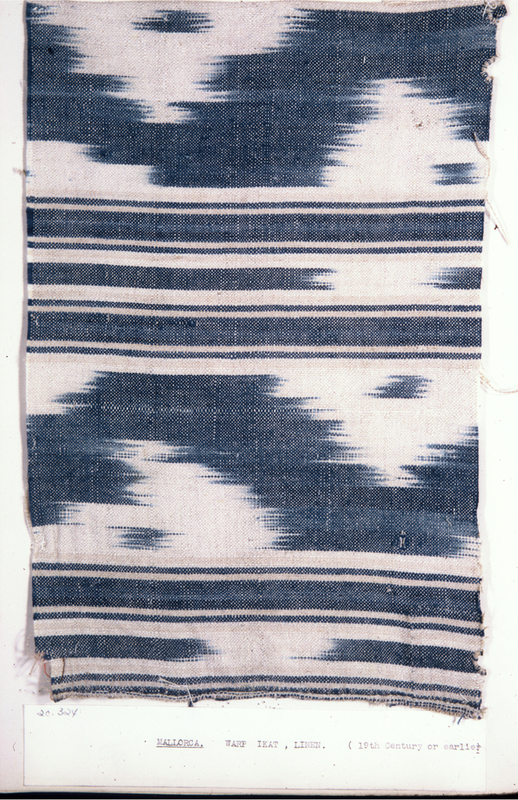 This is a Scrapbook of ikat fabrics. It was collected by Charles F. Iklé. It is dated 1920s–early 1930s and we acquired it in 1969. Its medium is ikat. It is a part of the Textiles department. It is credited Gift of Clara Waldeck.